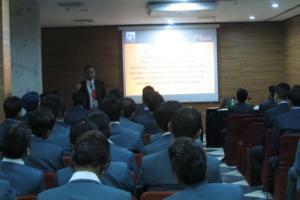 Graduates from IIHM enjoy an outstanding placement record. Our Alumni are our greatest assets. On completion of the course, the placements cover various types within the hospitality industry; be it the airlines sectors or the process outsourcing sectors or the hotel industry including the resorts, catering sectors and the luxury sectors, or it can be the highly paying retail sectors. For students completing the course in UK, or Canada or Bangkok the international hotel chains seek their services at the supervisory and managerial levels through the University placement and recruitment departments and for all students who complete the degree programme in IIHM campuses in India, placement at the level of Management Trainee & Hotel Operational Management Trainee takes place through organised campus interviews. With the institute’s strong image and connection with the hospitality industry in India and the Middle East & Singapore, only the best are invited for conducting the campus interviews. Every year, some students choose to be placed in the USA and Australia and complete exciting assignments in Hotels and Resorts at different locations in those countries. IIHM Graduates are most preferred in the position of management trainees and operational management trainees by the hospitality industry in India and worldwide. At IIHM you are been trained to seek placements at the managerial levels. 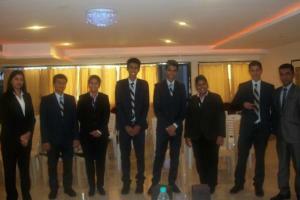 As management trainees in leading Hotels in India. 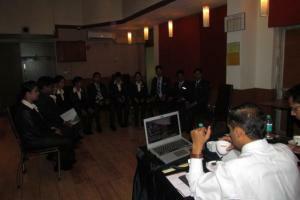 As management trainees in Hotels in Scotland, England and Ireland. 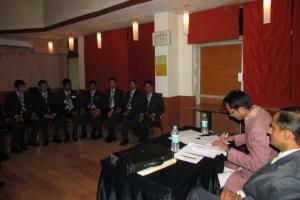 As supervisors in Hotels in India, UK, Middle East and Singapore. 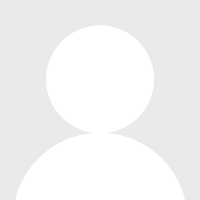 As trainees in top Hotels in the USA and Australia. 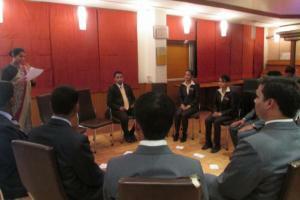 This is a choice that few hospitality management institutes can provide. All students who complete training abroad live up with international perspectives in hotel and are hence able to quickly bag bag international assignments in their final year placement interviews. In Singapore, the two of the best hotel chains IIHM provides the opportunity to its students to secure a high quality career in hotel industry in the UK, USA, Middle East, Singapore and Australia, besides renowned hotels in India. – Raffles The Plaza (awarded as the “World’s Top 100” hotel by the Conde Nast Traveller (UK) Readers’ Travel Agents) and Fullerton (400 room award winning hotel) invites IIHM students to experience international hospitality management operations through a structured and systematic training programme coupled with a generous stipend to support themselves. Similarly some of the other hotel chains where you may choose to train are the Radisson, London, Hilton, London, Meridien Mina Shayi, Dubai, Holiday Inn, Dubai or in many other international hotels associated with IIHM. In the USA, students pursue internship programmes at hotels like Hyatt Regency, Texas, Hyatt Regency Bonaventure, Florida, Canyon Ranch, Arizona (a brand within the Four Seasons Hotels), Grand Hotels & Resorts, Salt Lake City America, Marriott Lancaster, US, including the Top Starwood properties like St, Regis UTAH etc. "I am Hovaz and I come from Iran. 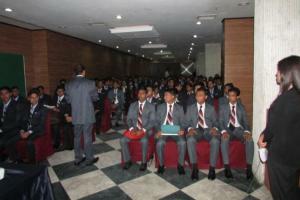 I wanted to study in IIHM Hotel School in India and therefore I came to Kolkata. IIHM is renowned as an institute that prepares students to succeed in International Hotels, and that is what I look forward to. I am in the 2013 -2016 batch and now I am studying in the Final Year Thanks to IIHM." "With a brilliant academic success behind herself, She graduated with a gold medal from IIHM. But, She had shown more entrepreneurial skills throughout the tenure of her education in IIHM than in other areas of engagements. Immediately after her education she started her own restaurant by the name The Wise Owl which has already become famous in the locality." 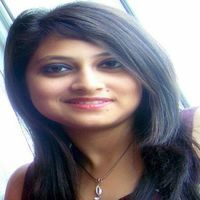 "I graduated in Hospitality Management from IIHM in the year 1999. That I studied at IIHM was my advantage. After graduation I joined the kitchen. 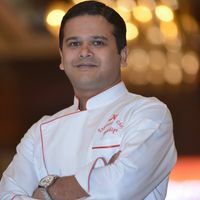 But my fundamentals were very strong and quickly rose through the ranks and today I am the Executive Sous Chef in International The Lalit, Delhi." "With the help of IIHM I Graduated in hospility management and came to USA on Internship. After completing my Internship, I completed my masters in hospility management from Columbia University. I want to thank my teachers at IIHM and my colleagues who helped me to nurture my dreams in my college." "The three years that I spent at IIHM were a big transitional stage in my life. It helped me prepare myself to work with great confidence. 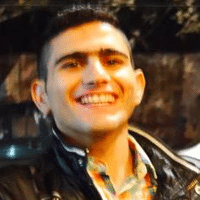 The assignments with challenging"
"I could not have felt more at home in a place so different from Armenia. I love every moment I spend at the IIHM Hotel School whether it is cooking up an Indian meal in the kitchen or supervising over a Food and Beverage Festival in one of the city’s favourite event management venue. There are always new skills to develop, people to meet and experiences to encounter that will help me to succeed in my future. I am also the Captain of IIHM Rugby Team. " "Life certainly does surprise you with its unexpected turns. I never knew that three years of long journey with IIHM would lead me to the dream hotels of many, Marriott. I cannot thank IIHM enough, along with everyone for their consistent support. And I certainly hope to continue making my IIHM proud." 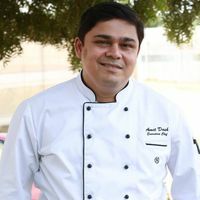 "Like IIHM says that the difference between Extra Ordinary and Ordinary is just an EXTRA, it is so true when you finish your college and get out into the real world. The IIHMites always"
Questions? Visit the Support Center.